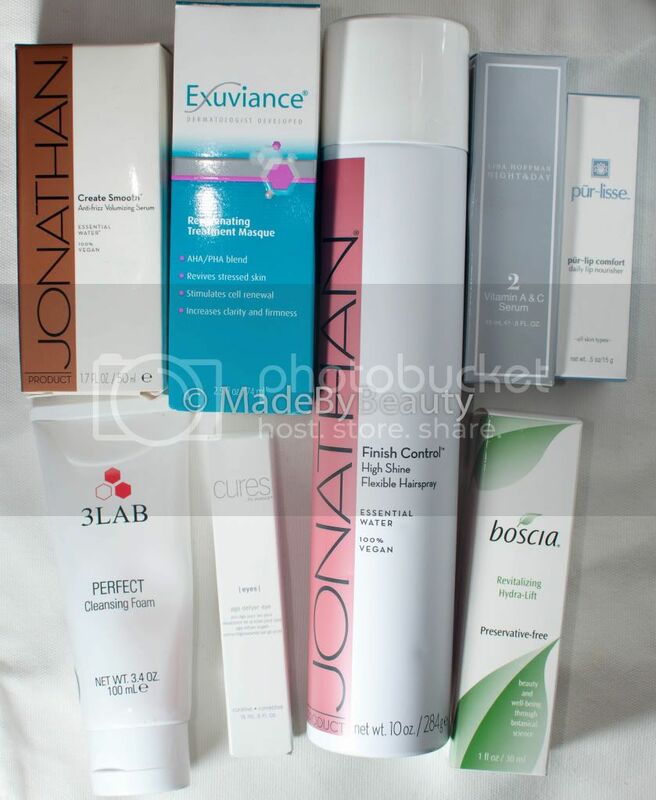 All these are from Dermstore. 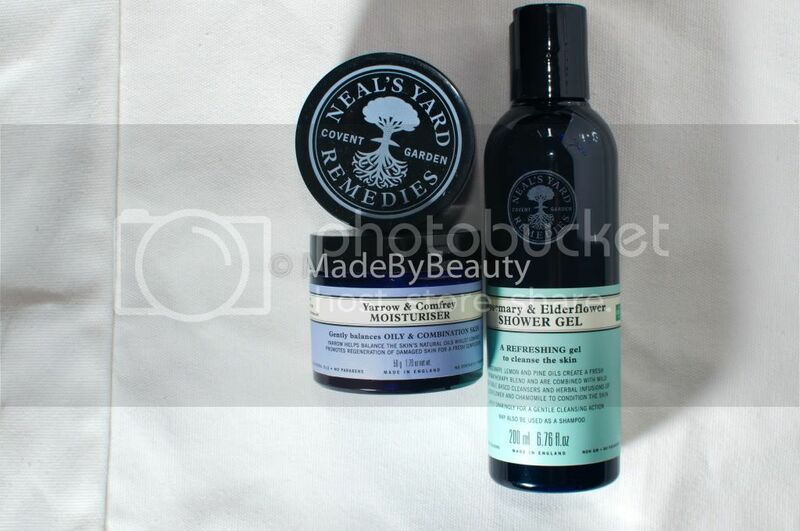 They offered two Beauty Fix mystery bags and these are the contents. First pic features the $15 bag (I don't think it's still available though). 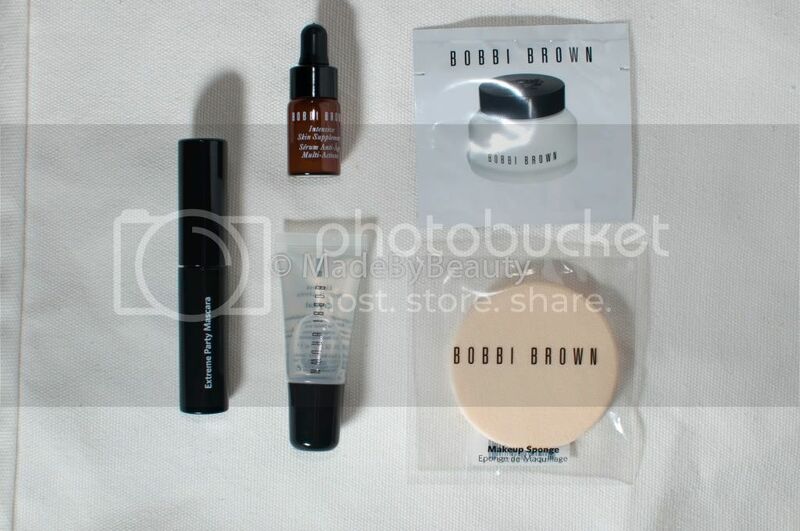 It has a Hair Gloss, a Make-up Setting Spray, a Body Lotion, a single Eye Shadow, and a Face Cream. Second pic features the $29.99 bag, and I think it's still available now. 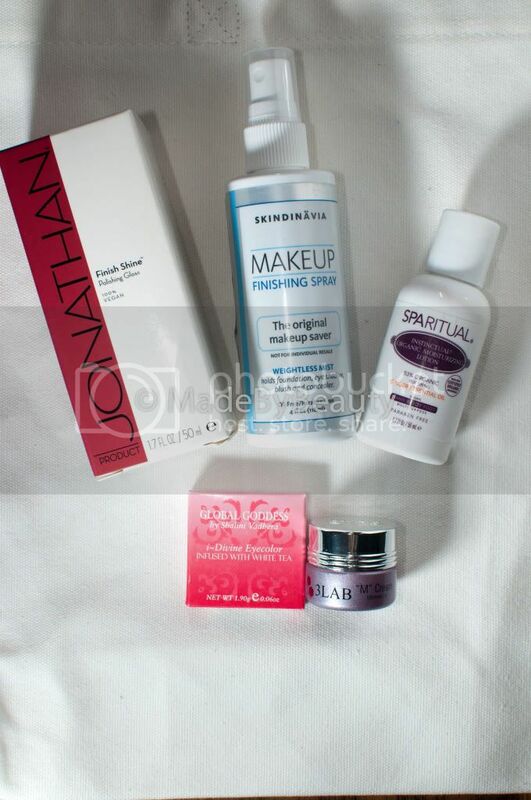 Comes with 2 Jonathan hair products, a 3 Lab Cleanser (I love it most), a Mask, a Serum, a Lip Treatment and an Eye Cream. The Boscia serum was a GWP for orders more than $100. 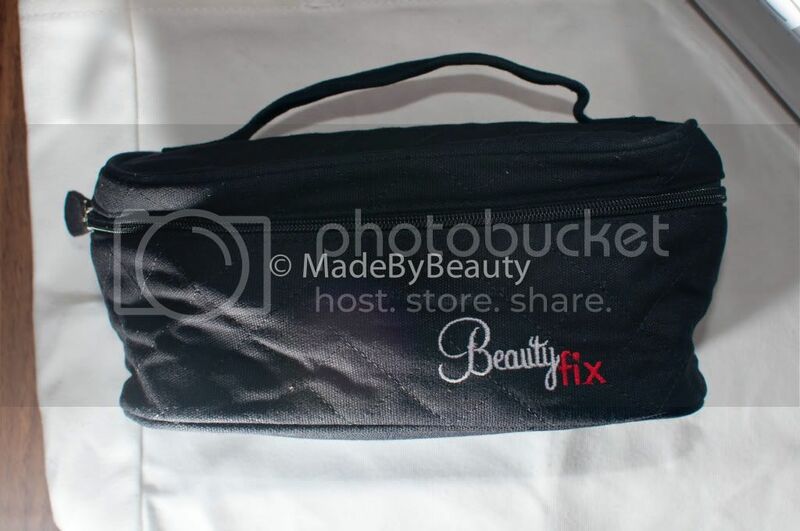 Both mystery bags come with an ugly cosmetic bag that shown in the third pic.